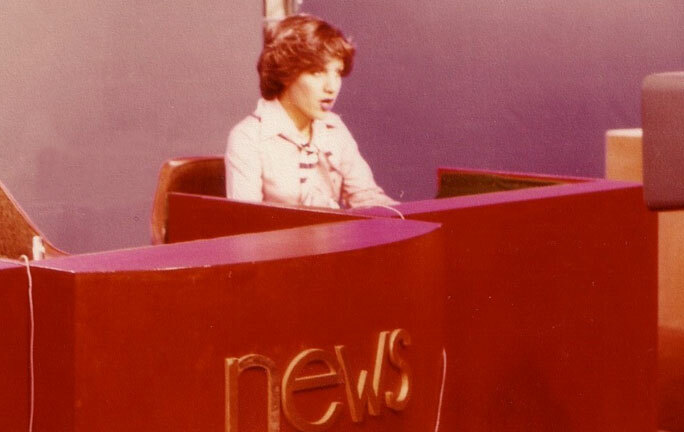 First English-language television newscaster Suzanne Ziai in the Jam-e Jam TV studio in Tehran reading the 8pm news around 1977. The English department had grown and became a very important sector of Iranian state television. Its target audience was the foreign community. There were also programs in French, German, Russian, and many other languages.